Healthy is an understatement! Getting fit is the name of the game. We’ve rounded up our top four recommendations for the best treadmills for 2018 to provide a comprehensive treadmill review for us who search far and wide for treadmills for sale. “The best” is just too broad of a term. Below are the things we considered in determining the best treadmills for 2018. Different treadmill features can help you get more out of your workout and produce better results, but with so many options available, it can sometimes become overwhelming. We’ve broken down the key features to look for, so you can choose a treadmill which is suited to your running needs. If you intend to use the treadmill regularly, try to find a motor which is 3.0 HP or higher. If you plan on using the treadmill for only light walking, a lower motor with around 2.5 HP should be adequate. It might also be useful to look for a motor which comes with a lifetime motor warranty, as this is usually an indication of a good quality motor. Consoles vary but most people prefer a large, backlit console window. This makes it easier to read workout stats as you’re running. Other features of the console you might want to look out for are a quick start button, water bottle holder and built-in fans to cool you down. Taller people will often choose a treadmill with a belt size of at least 60 inches. If you’re tall, this will help you to pick up the pace without falling off the end of the treadmill! Shorter people, however, only need a belt size of around 55 inches. A smaller belt size would also be suitable if you plan on only using the treadmill for walking only. Treadmills with an incline feature are great if you want to build more high-calorie burning intervals into your workout. Inclines range from 10-15% on most treadmills, however, some machines go to a 40% incline! If you’re are an experienced runner or training athlete, the higher incline would be more suited to your needs. However, if you’re new to running, you may want to choose a lower incline as you build up stamina. Today’s treadmills don’t have to be bulky and take up a room. A folding treadmill is great for saving space and perfect if you need to move it around. Some foldable treadmills even have an automated lifting and/or dropping system in place for raising and lowering the deck. If you’re thinking of purchasing a foldable treadmill, look for one which locks into place with wheels on the bottom as this will help you to move it easily and keep it sturdy. Non-folding treadmills also have their benefits. These are often more sturdy and to some runners, stability is the most important factor of a treadmill. That is why, perhaps, when you look at the stability ratings for treadmills, those which are non-foldable treadmills usually come out on top. Being able to measure your heart rate means you can stay in your target fat-burning zone. 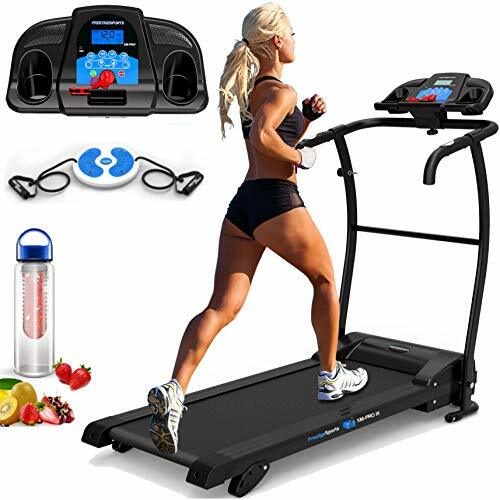 This feature usually comes with hand pulse grips, but if you don’t want to grasp the hand sensors as you run, you might prefer a treadmill which has a wireless heart rate chest strap. If the entertainment features on the running machines at the gym get you feeling motivated, you might want to incorporate them into your treadmill at home. These include workout programs, web browsers and even iPod docks with console speakers so you can workout to your favourite running playlist. A benefit of running on a treadmill over running outside is that there is no wind resistance. When you’re running outside, an obstacle is overcoming air resistance. This is not something you need to do when running on a treadmill. You are also less likely to trip as the surface is flat, unlike the unpredictable pavements. However, recent studies by Casey Kerrigan, a Harvard Medical School graduate, with a masters in physical rehabilitation have suggested that the bio-mechanics to treadmill running is essentially the same as running outdoors. Check out the video by Health Chronicle below for more information on running on a treadmill vs outdoors. What are the advantages and disadvantages of a treadmill? For most people, a treadmill is relatively easy to use. You can control your own workout using the incline, speed and warm up features. It has been suggested that treadmills burn more calories than other forms of in-home exercising such as biking. They can be very expensive and run outdoors is free. The cushioned surface on a treadmill can inflict too much jarring impact on the back or stress the hip, knee, and ankle joints. Maintenance of treadmills will usually require a professional. 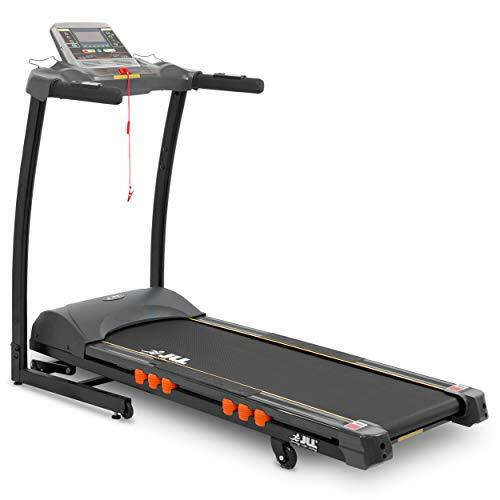 One of the four best treadmills for 2018, JLL S300 Treadmill holds its own all thanks to the discount and warranty. It comes with a warranty of 2 years for parts and labour, 5 years for motor and a lifetime guarantee on the frame. What we like about this treadmill besides the high-end features would be the discount it is at the time of review. You are getting a very capable treadmill for a very reasonable price. The Premierfit T100 has quite a good reputation. Buyers claim that it is well-suited for starters. However, there are quite a few things potential buyers need to know. Its manual indicates a maximum user weight of 100kg. This is mainly because of its compact size. It does not have adjustable incline as well. The console, like other treadmills, show time, calories, distance, and speed. All treadmills need maintenance. We love that this treadmill comes with a bottle of oil lubrication upon delivery. Another frequent review from buyers is that it is very easy to assemble. Another treadmill from JLL fitness makes this list of the best treadmills for 2018. 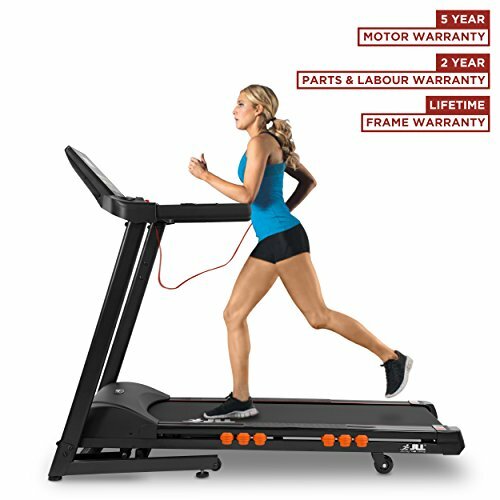 A lot of buyers and reviewers seemed to be drawn to JLL treadmills due to their warranty. Although for home use only, 2 years for parts and labour, 5 years for motor and a lifetime guarantee on the frame is still tough to beat. Reports also say that it makes quiet less noise compared with non-JLL treadmills.It would also allow you to create your own workout programme if none of the 20 preset running workout suits you. 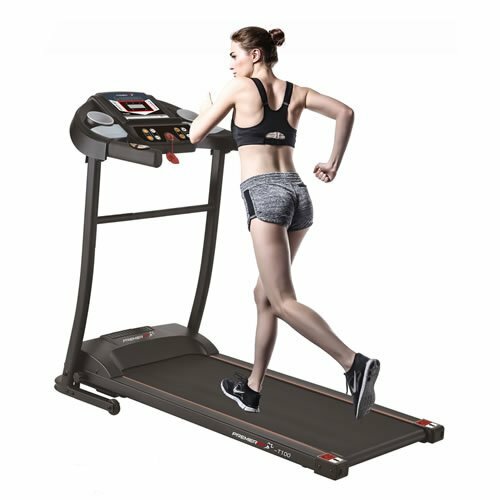 The XM Pro III Treadmill 2018 model is easy to put together as mentioned by the people who purchased it. It is quite sturdy for a compact treadmill with a maximum user weight of 110kg. What we like about this is that it has a lot of good settings like 3 levels of incline, 12 workout programmes, transport wheels and folding design for space saving. See, a plus point is taken by XM Pro III for deliveries in Scotland. It has been used on a rubber mat and wooden floor but still very quiet. We found the E-books freebies worth mentioning since all these little things add up in the long run. Lastly, it 2-year warranty for motor and frame and parts. Sure there are treadmills that are more expensive and offers a lot more. And although they have more advanced features and fancier designs, it all comes down to the functionality. It is less likely that you will make use of a 33 workout programme an expensive treadmill would have. The common denominator of the best treadmills for 2018 are ease of use, easy to assemble, comes with a warranty, and must not be too expensive. Why not take a look at our treadmill reviews?